SALife presenter Pete Michell, who appears on the Seven Adelaide lifestyle show, has died, aged 43. Michell passed away suddenly yesterday after suffering a heart attack. 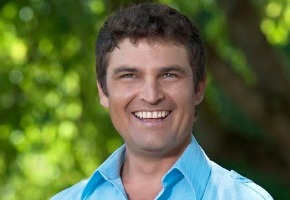 He had been with the series since its 2011 inception, as the show’s own adventure man exploring remote South Australian locations. Michell started with Seven Adelaide in 2002 as a presenter on The Book Place, followed by travel and lifestyle program Discover later that year. SALife Producer Traci Ayris said: “Pete was more than a colleague, he was a close friend and one of the most genuine people you could hope to meet. Pete loved to sing, joke and entertain us with incredible impersonations. He was a rare talent and always a pleasure to work with – he will be sorely missed by the SALife team. Michell graduated from the Drama Centre at Flinders University in 2000 and worked in film, television, radio and theatre productions including McLeod’s Daughters, Blue Heelers and Here’s Humphrey. He was a regular with the State Theatre Company of SA and his musical theatre credits included Guys and Dolls, Assassins and We Will Rock You in Australia and Japan. “He was a vibrant and much loved colleague and friend to all at Seven Adelaide. Our heartfelt condolences go out to his wife Rachael and children Charlotte, Ben and Oliver,” said Davison. Wow, what a shock. Always liked his stories on SALife. Condolences to Pete’s family and colleagues.